Seattle Mariners Executive Vice President & General Manager of Baseball Operations Jerry Dipoto today announced the following roster moves. Cook, Furbush & Clevenger have enough service time to elect free agency. 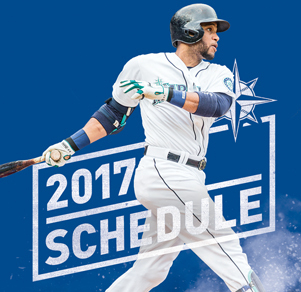 The Mariners 40-man roster remains full. Baron, 25, hit .280 (65×232) with 35 runs, 7 doubles, 1 triple, 3 home runs, 22 RBI, 34 walks and 3 stolen bases in 67 games with AA Jackson and also appeared in 1 game with AAA Tacoma (June 30-July 1). In eight minor league seasons with the Mariners, he hit .234 (464×1982) with 222 runs, 108 doubles, 13 triples, 26 home runs and 228 RBI in 554 games. He was originally drafted by Seattle in the 1st round (33rd overall) of the 2009 First-Year Player Draft out of John A. Ferguson School in Miami, FL. Clevenger, 30, was removed from the suspended list on Oct. 31 onto the 60-day disabled list. On Sept. 23, he was suspended without pay for the remainder of the season. He hit .221 (15×68) with 7 runs, 3 doubles, 1 home run and 7 RBI in 22 games, 20 starts, with Seattle. He was placed on the 15-day disabled list with a fractured third metacarpal on his right hand on June 30th and was transferred to 60-day disabled list on July 6th. He appeared in 3 games during rehab assignment with AZL Mariners (2 games) & AA Jackson (1 game), batting .500 (4×8) with 1 double and 1 walk. He was sent on rehab assignment on Aug. 23 and recalled from rehab due to injury on Sept. 7. Cook, 29, had Tommy John surgery on his right elbow on Oct. 20. He did not appear in a Major League game this season after being placed on the 60-day disabled list with a strained right latissimus dorsi muscle on March 12. He made one rehab appearance with the AZL Mariners on July 10 (1.0 IP) before he was recalled from the rehab assignment on July 28. He signed with Seattle as a Major League free agent on January 7. Furbush, 30, who had surgery to repair a partially torn rotator cuff in his left shoulder on Aug. 16, did not appear in a Major League game this season. He was placed on 15-day disabled list with left shoulder biceps tendinitis on April 3 (retroactive to March 25). He was transferred to the 60-day DL on June 22 and began his rehab assignment on July 8 with Short-A Everett, was transferred to AAA Tacoma on July 14 and returned from rehab on Aug. 2. In 8 rehab games (2 starts), with Short-A Everett (2 GS) and AAA Tacoma (6 G), he was 1-1 with a 5.68 ERA (4 ER, 6.1 IP) with 5 strikeouts. Sampson, 25, was 0-1 with a 7.71 ERA (4 ER, 4.2 IP) with 2 strikeouts in his only start with Seattle. He had surgery to repair a flexor tendon on his right elbow on June 30 after being placed on the 15-day disabled list on June 24 with a right flexor bundle strain (transferred to 60-day disabled list on July 5). He left the game on June 23 at Detroit before making a pitch after feeling discomfort in his right elbow while warming up before the first inning. He was selected to the Major League roster on June 18 and started that day at Boston. With AAA Tacoma, he was 7-4 with a 3.25 ERA (29 ER, 80.1 IP) with 61 strikeouts and 12 walks in 13 starts. Weber, 26, was 1-1 with a 5.45 ERA (22 ER, 36.1 IP) in 16 games (2 starts) with Atlanta this season, striking out 23 and walking 5. In 26 games, including 5 starts, with AAA Gwinnett this season, Weber was 2-3 with a 2.76 ERA (19 ER, 62.0 IP) with 41 strikeouts and 14 walks. A native of St. Petersburg, FL, Weber was drafted by the Braves in the 22nd round of the 2009 MLB First-Year Player Draft out of St. Petersburg College. He made his Major League debut with Atlanta on Sept. 8, 2015 at Philadelphia. 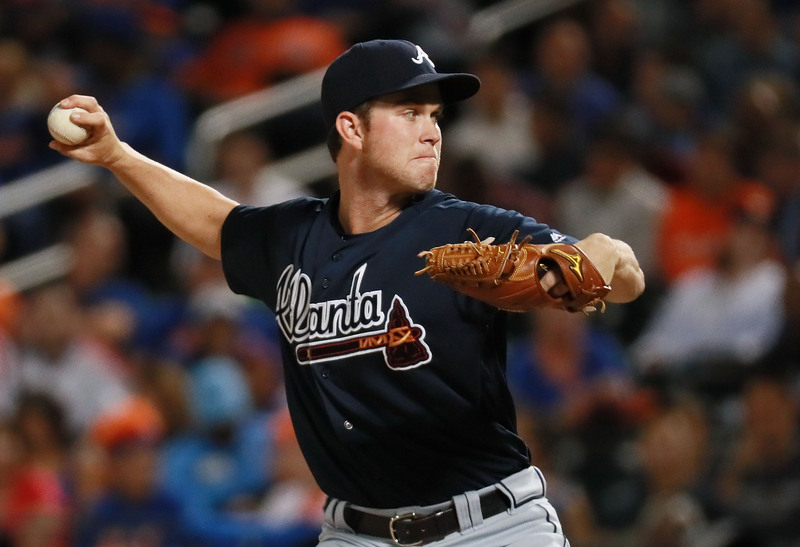 In parts of 2 seasons with the Braves, he has compiled a career record of 1-4 with a 5.15 ERA (37 ER, 64.2 IP) with 42 strikeouts and 11 walks in 21 games (7 starts). Over parts of 8 minor league seasons with Atlanta, Weber is 33-36 with a 3.78 ERA (268 ER, 638.0 IP) with 462 strikeouts and 106 walks in 203 games (77 starts).